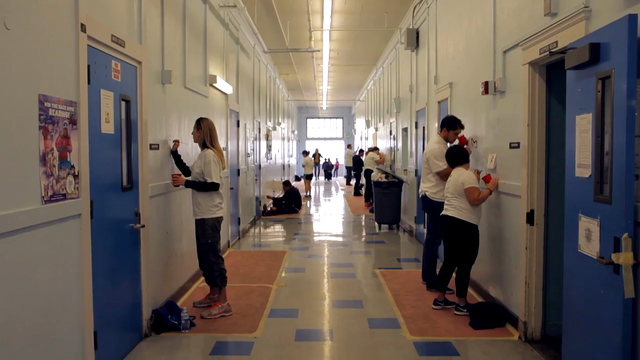 In celebration of AEG’s Season of Giving, more than 300 AEG employees from Southern California came together to participate in the company’s annual Service Day on Dec. 8 at Nevin Avenue Elementary School in South Los Angeles. Employees from the company’s Southern California-based offices and divisions, including AEG Presents, STAPLES Center, L.A. LIVE, StubHub Center, Los Angeles Convention Center, LA Kings and LA Galaxy, teamed up with City Year Los Angeles to create a more engaging, educational and colorful environment for children to learn and thrive. Beautification projects included painting educational-based school pride, healthy eating and active living murals and building planters throughout the campus which has served students and the community for more than 90 years. In addition to the efforts of its staff throughout the day, AEG made a $10,000 donation to Nevin Avenue Elementary School and presented a check to the school’s principal, Rachel Sawyer.